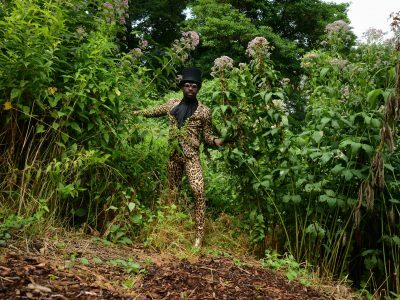 Miami-based media and performance artist David Rohn presents ‘CONTACT WALT WHITMAN,’ an interactive performance piece involving the artist as the late 19th century American poet in an enclosed ‘Tableau Vivant’, seen by viewers through turn of the century stereoscopic viewers set into the wall of the interior space. 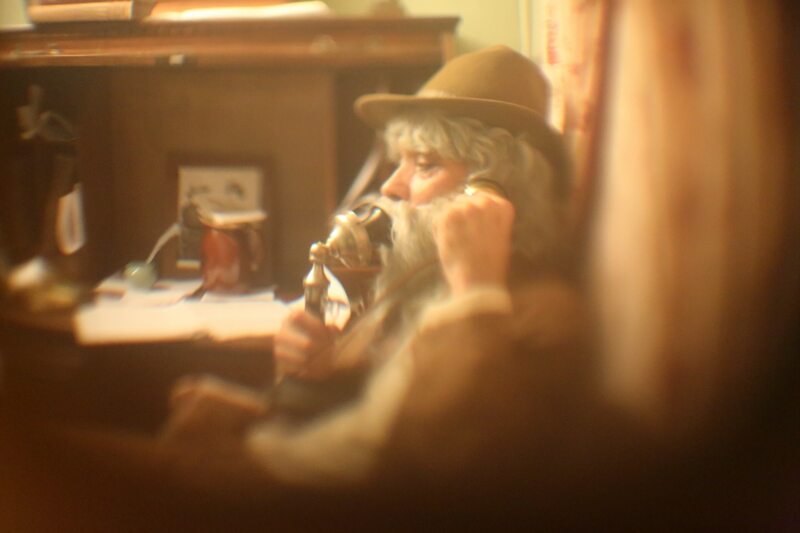 The artist as Walt Whitman may also be addressed and heard through an intercom set into the wall connected to a period telephone at his roll-top desk inside the tableau. As in other interactive pieces, Rohn seeks to enhance the experience of Presence and Contact by creating situational nuances, or barriers, to this mundane event. Rohn invites viewers to peer into the past, to encounter an iconic American figure whose compassion and social conscience define his poetry and his life. The rose has many connotations. It is one of the most widely cultivated flowers in the world and in 1986 was made the official flower of the United States. 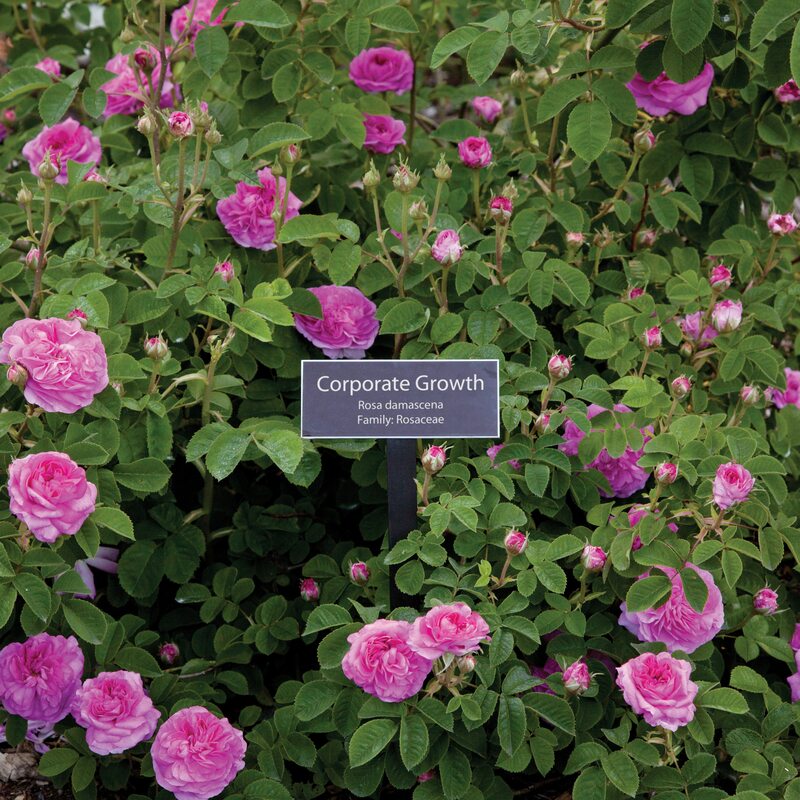 While many people are familiar with The White House Rose Garden, no official rose garden is recognized by the federal government. 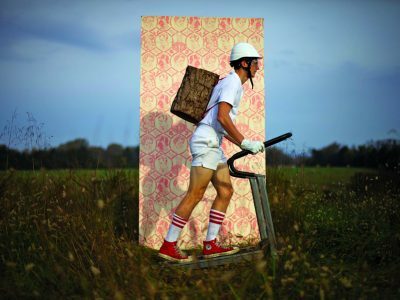 In this living sculpture by artist Kenneth Pietrobono, a 'National Rose Garden' is imagined. The selected flowers have been given names which reflect the systems and policies we, knowingly or not, cultivate in this country. By politicizing the benign, the viewer is denied the ability to take pleasure in an American symbol without confronting the darker realities of American power. The PDA, Personal Development Auction, opening on the 4th and closing at 5pm on the 8th in the SCOPE Foundation tent, allows fairgoers the opportunity to bid on things like a personal tour of the Harvard Vision Science Lab, a Welding Lesson, or an introduction to Hydraulics. Master Screenprinters, Lawyers, Architects and Financial Consultants have donated time and education to auction winners. The opening bids will be low, so finding out if you really want to weld won’t break the bank. All proceeds go to the SCOPE Foundation to support working artists. 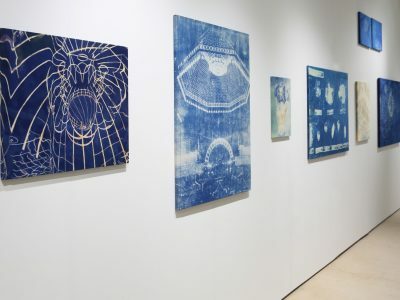 THE SCOPE FOUNDATION AWARD Dedicated to supporting the growth of new galleries and the exposure of emerging artists, The SCOPE Foundation is pleased to honor work that pushes boundaries and challenges expectations. 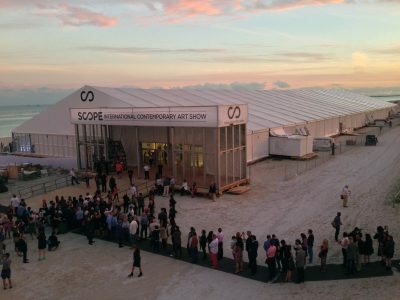 For each edition of the SCOPE Art Show, The Foundation honors an emerging artist of extraordinary promise by presenting The SCOPE Foundation Award, aimed at bolstering creative exposure and amplifying professional profile. 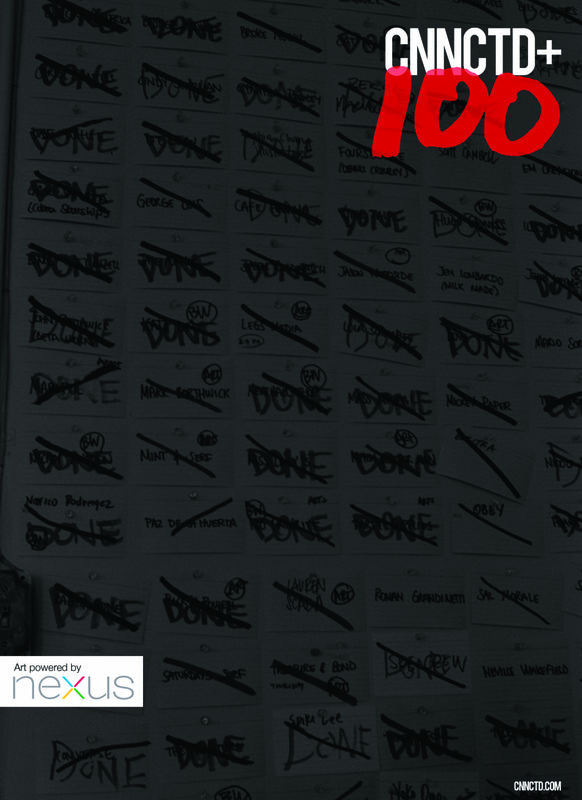 The Winner of the SCOPE Foundation Award will receive 100 sq. ft. of exhibition space at the next SCOPE Show, as a featured highlight of special programming. The pioneering partnership between VH1 and SCOPE channels the complex and powerful relationship between music and art into an extraordinary experience. 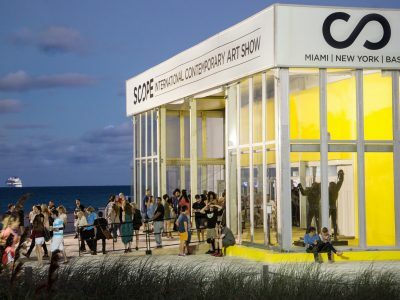 Through a series of curatorial collaborations on-air, online and on-site in Miami, SCOPE and VH1 are teaming up to celebrate and amplify the impact of emerging visual art as it cross-pollinates with music. 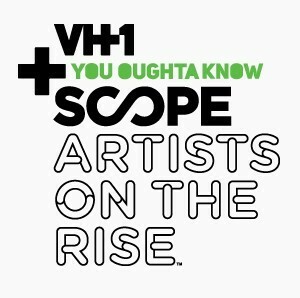 Contributing to VH1 You Oughta Know’s mission of discovering artists on the rise, SCOPE has curated a selection of visual artists who represent the incredible potential of contemporary art to inspire across all boundaries. Brent Birnbaum’s works at first appear as an encyclopedic collection of irreverent pop-culture, paraphernalia-like windup toys, matchbooks from lost saloons or discarded sneakers. An obsessive collector of bric-a-brac, Birnbaum repurposes these items as allegories for religion, love and politics. Hugh Hayden explores racial identity by questioning long-held community traditions. Whether it’s a braided portrait of Beyoncé or a shaved “fading” of Obama on sheepskin, Hayden’s tongue-in-cheek commentary of black identity in America engages viewers on a visceral level. 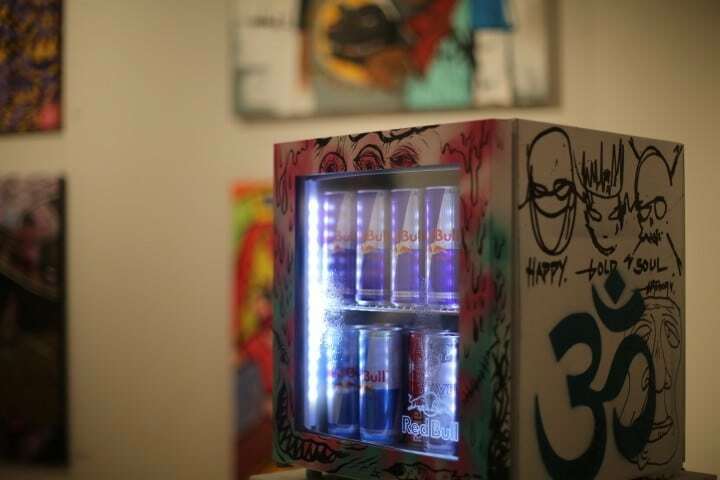 Patrick Martinez’s work draws from a childhood steeped in hip-hop and street culture. Utilizing familiar imagery and style culled from pop culture, Los Angeles-based Martinez reinterprets what is ordinary in a variety of media including paint, neon and even melted handguns. Situated alongside SCOPE's pavilion, the VH1 Outdoor Lounge is the premier destination for SCOPE Miami attendees to experience the most exciting new talent in music and art. The VH1 Outdoor Lounge will be open to all for the duration of the event, December 4 - 9, 2012. On Thursday, December 6, VH1 will also host the SCOPE Miami Official Party (by invitation only), featuring a performance by You Oughta Know musical talent from VH1's impressive roster. Le monde est un zombie explores the gap that has grown up today between ourselves and reality, a gap which reveals the paradoxes, fault lines and distortions of contemporary society. Simon Bilodeau’s installation, being presented at Scope Miami 2012, is a simulation of our “ghostly” experience of the world in its threatening “zombie-like” or living-dead state. 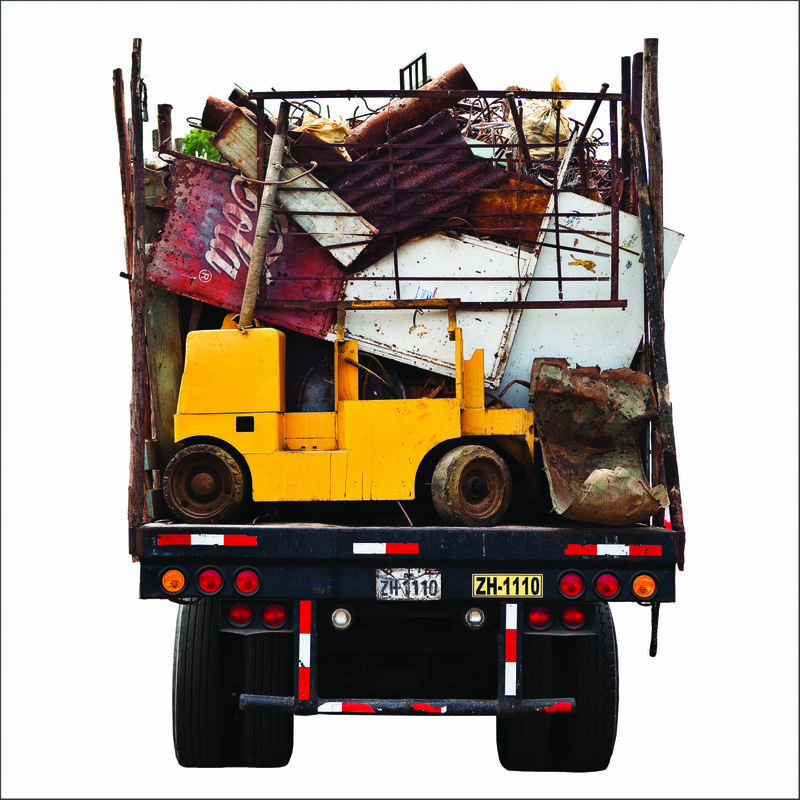 It features a giant industrial container which Bilodeau has reconstituted out of pieces recuperated from two previous exhibitions. In this third presentation, the concept on which the project rests, mobility, takes on a more concrete aspect, because transportation is now an integral part of it. The physical relocation of the work involved adapting it to its host site, in addition to structural and formal modifications which precluded from the outset simply copying the original work. While the material integrity of the container has been preserved, its appearance and the way it has been placed in the site have changed: the white panels have become dark grey, and the base and cargo of shimmering objects have been configured differently. The exhibition of Le monde est un zombie/le monde est un zombie /le monde est un zombie in Miami inaugurates the third phase of the project, that of putting it into circulation, and introduces new ways of thinking about conditions of survival, of “coming back” and of reproducing artworks. Commissioned for the 2012 Scope Miami Sculpture Atrium. 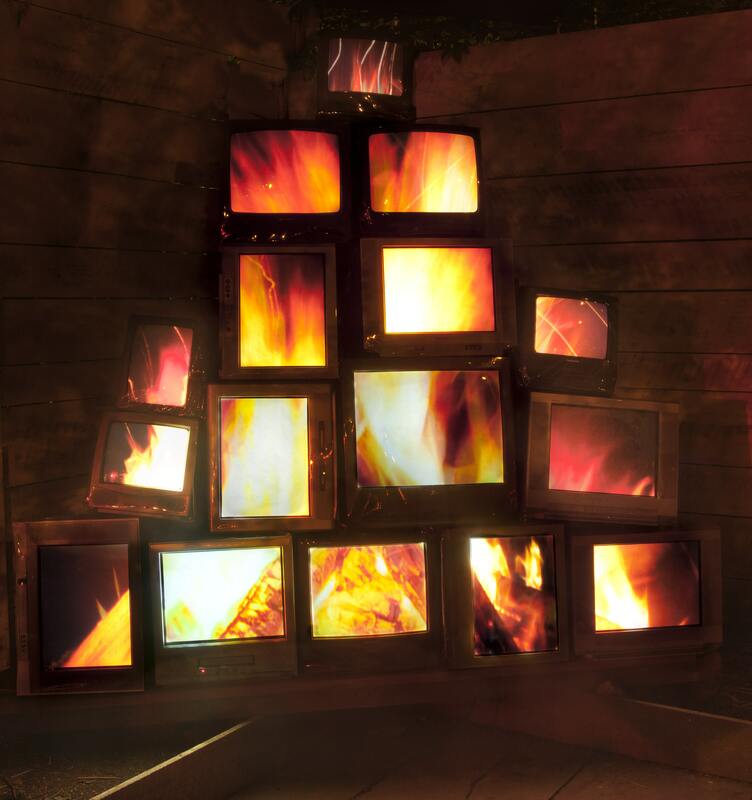 Kevin Cooley’s Bonfire Project reclaims dozens of cathode ray tube television sets and carefully arranges them to mimic the shape of a towering bonfire as fiery flames flicker across their screens. The individual television sets operate like pieces of a video jigsaw puzzle, collectively re-animating a small campfire. Electronic smoke and embers slowly rise towards the sky, transcending the awkward physicality of obsolete technology, becoming ethereal, like fire itself. Harnessing the mesmerizing ability inherent in television to capture our attention, this work can be seen symbolic gesture reminiscent of a ceremonial and spiritual celebration, or perhaps as an act of destruction. 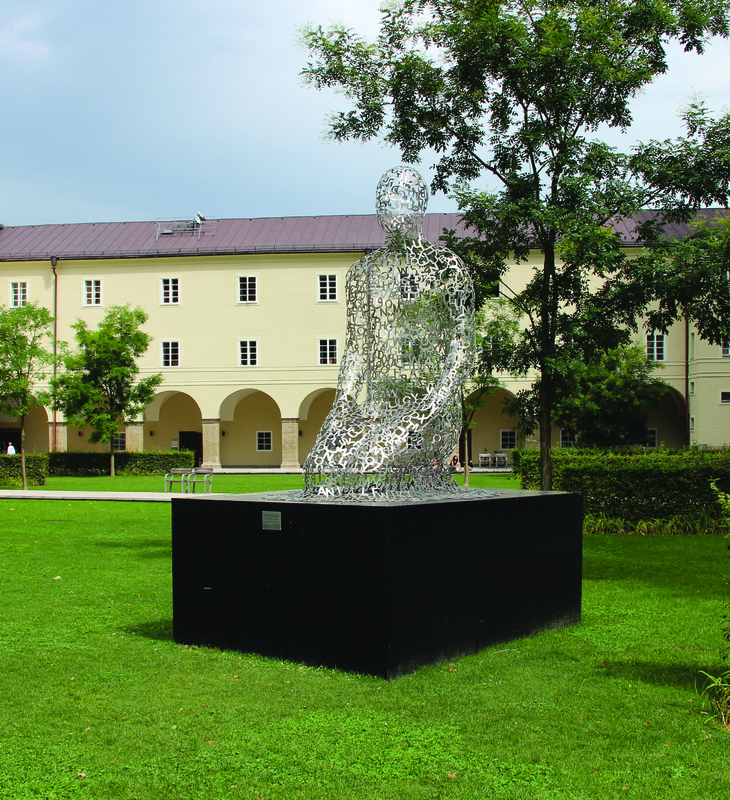 Jaume Plensa’s work is often set in the context of public sculpture, a sphere in which he has works installed in Spain, France, Japan, the United Kingdom, Korea, Germany, Canada, and the USA. Plensa’s pieces and themes are vastly homogeneous; for several years now, his work has dealt with space and time- and their reference to the human body. The written word, as a single letter or phrase, is of significance in this context. Oversized figures in a meditative posture, partially made of translucent material, sometimes illuminated from the inside, form a bonded net of metallic letters. 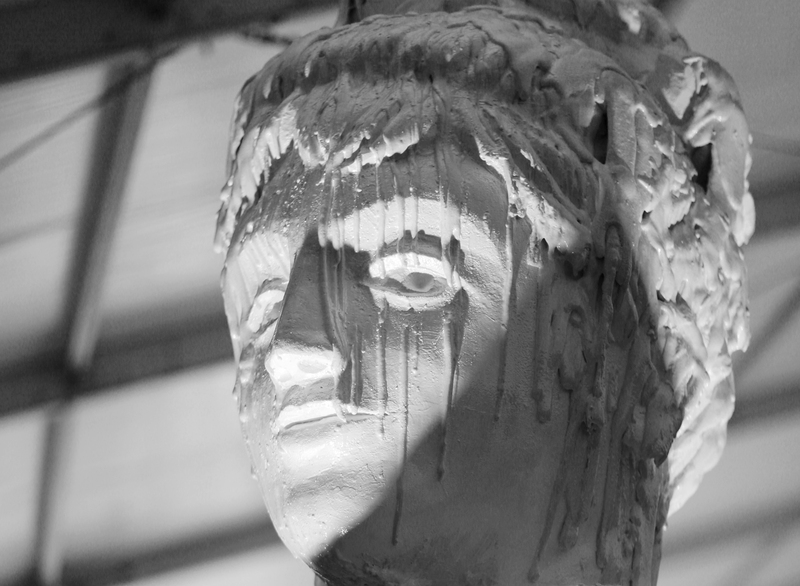 In Basel, Switzerland, 2012, The SCOPE Foundation awarded artist Zeger Reyers with a featured exhibition at SCOPE Miami to present his site-spefic installation, Hard Water. 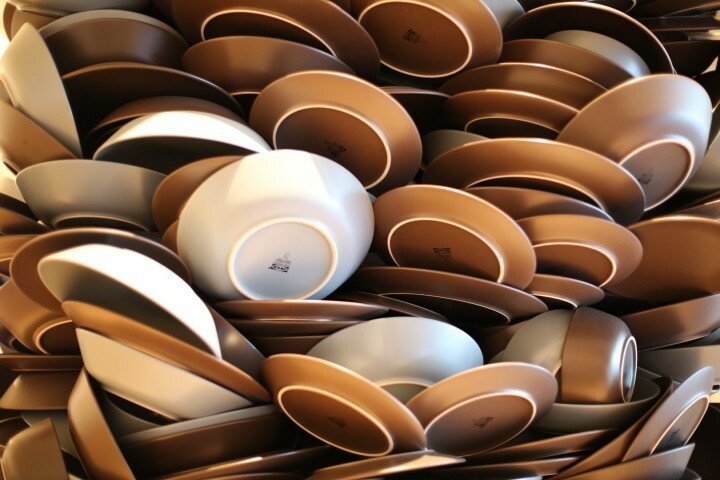 Compiled of thousands of ceramic plates stacked atop one another, Hard Water emonstrates an intelligent and resourceful use of material, taking the viewer by surprise and making us strongly aware of the vulnerability of our man-made environment. The first version of the work, titled Good Intentions, was shown at the 8th Biennale of Havana in 2003. After that, in 2004, it evolved into Hard Water and has been rebuilt in a variation of shapes, most recently in the Song Zhuang Art Center in Beijing, China. 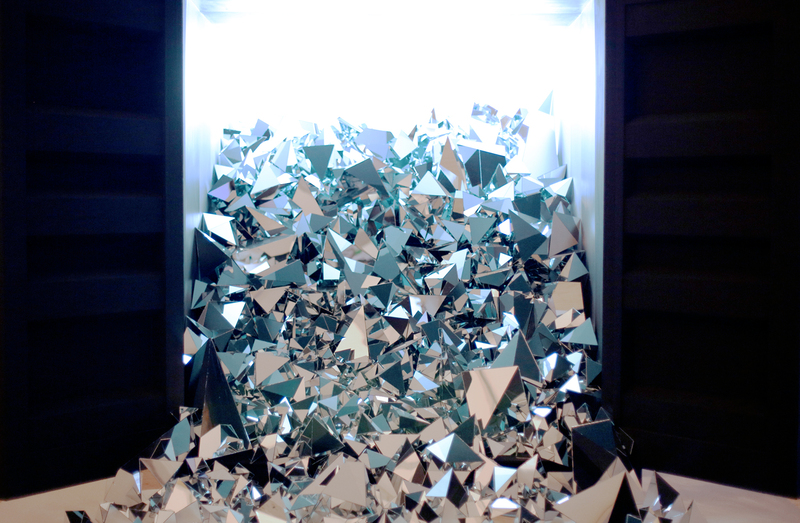 Austrian artist Brigitte Kowanz combines the medias of light, mirror and language to a particular perceptual experience, which opens possibility to a new cognition. Light and mirror are first of all instruments of elucidation and also the language has in principle a high enlightening potential. But perception does not always equal awareness. 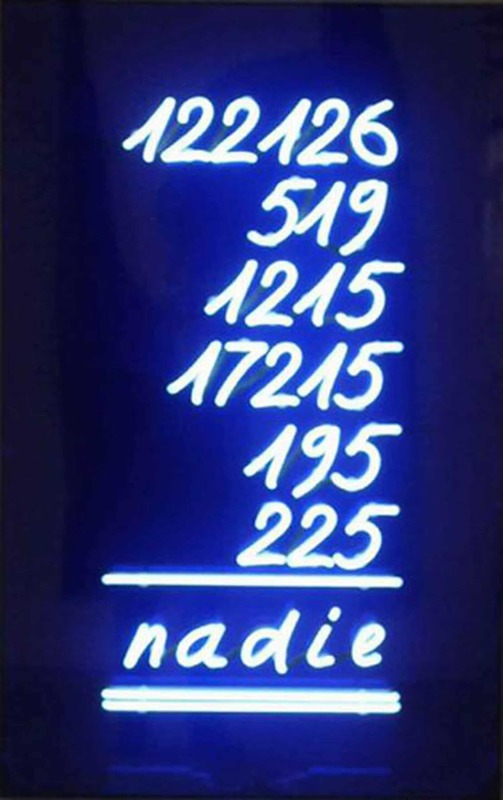 Kowanz’ works demonstrate this fact by her use of light that loses itself in infinity, her use of language in Morse code, and her use of neon effects as hardly decipherable texts in handwriting. The artist is less interested in the readability of the writing, and more in the pictographic and object-like qualities. VH1+SCOPE You Oughta Know Artist- Hugh Hayden's artwork explores cultural identities through creating tensions in content and minimal physical structures. 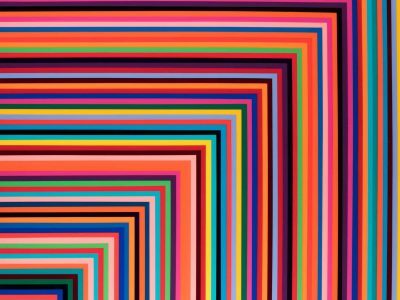 Hayden's methodical geometric processes juxtapose disparate social complexities to elucidate visual histories of class, gender, and race. 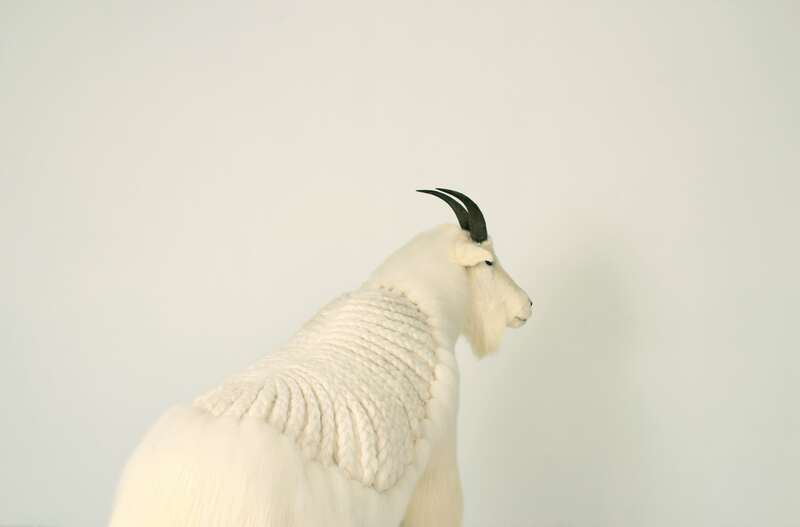 In American Hero #2 (pictured), cornrows are applied to the hair of a taxidermy mountain goat atop a diorama of disintegrating cinder blocks. The manipulation of the hair imprints African American subculture on to the larger context of America, while the rebel abstracts the urban condition. 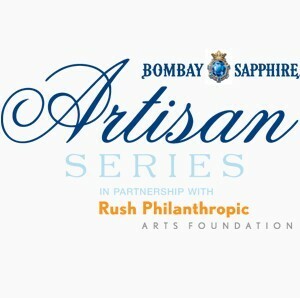 BOMBAY SAPPHIRE and Russell and Danny Simmons' Rush Philanthropic Art Foundation continue their longstanding partnership with the 2012 Artisan Series, an incredible opportunity for talented emerging artists from across the country to showcase their imaginative works of art. 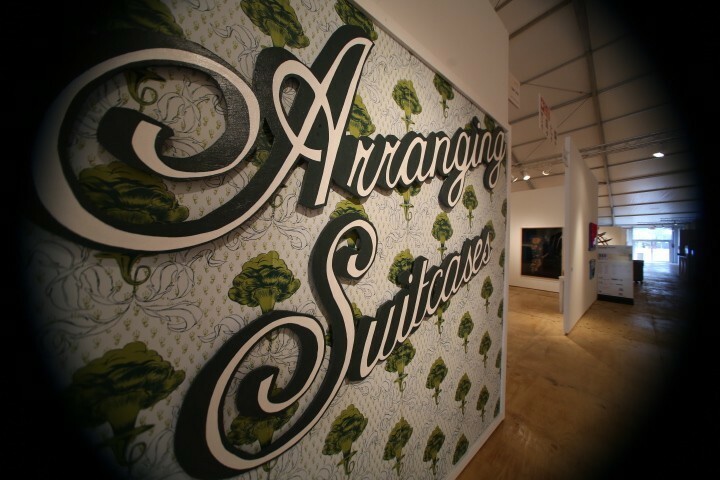 During the Artisan Series, a select group of artists will be chosen from online submissions and local art gallery events to compete at SCOPE Art Show 2012 during Art Basel Miami. Two winners will be chosen to have their own exhibit at Russell and Danny Simmons' Rush Arts Gallery in New York. TYPOE's practice employs a consistent push-pull between the dark recesses of the urban underground and the shimmering veneers of celebrity. Tracing the deep indentations of academic art history into the seemingly bulletproof, steely surfaces of street art, TYPOE illustrates a conflicted visual landscape riddled with mundane objects forcibly jammed into precarious anthropomorphic scenarios. 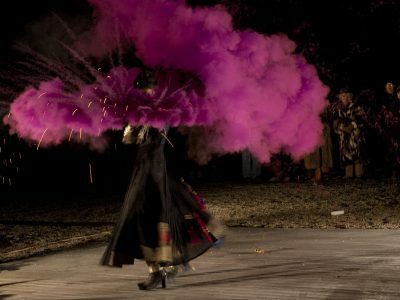 Clandestinely donning a bandit¹s bandana, using razor-edged satire as his proverbial pistol, TYPOE¹s work subtly nods to the established contemporary art canon, held hostage in a dizzying abyss of hermetic hypocrisy, excessive lifestyles and the melancholy of lost time. TYPOE lives and works in Miami, FL. LA ENCONIENDA is a collaboration of ten chosen contemporary Peruvian artists. Structured around geometric and urban elements, the works make reference to the minimalism and modernity of contemporary architecture. With the initial intent of conveying the ordinary urban space, the product is an estranged landscape: built in a recognized abstract composition that swings between the known and the new.